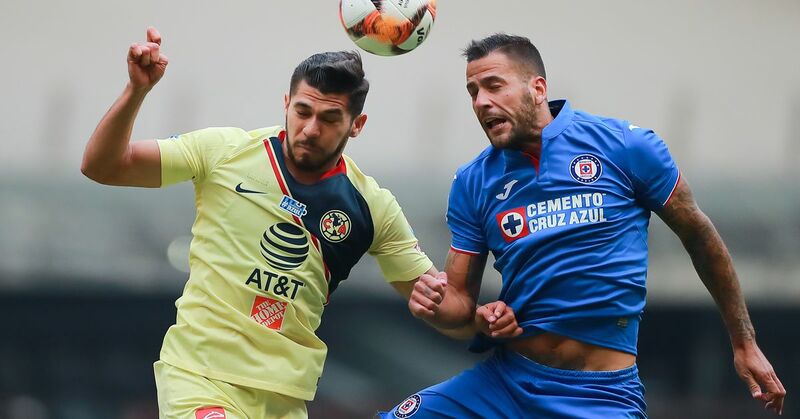 Fans were left frustrated as Club América and Cruz Azul settled for a goalless draw at the Estadio Azteca in what was supposed to be the marquee matchup of Week 14 in the 2019 Liga MX Clausura. Las Águilas came out the strongest, and Henry Martin went close early when he sent a karate-like effort wide of Jose de Jesus Corona’s goal. Las Águilas then responded with Mateus Uribe forcing a superb save from Corona in the 60th minute. Cruz Azul then had their own effort saved when Milton Caraglio beat his defender off a turn, only to have his chance blocked by the incoming Agustin Marchesin. At the end, the game was marred negatively for Cruz Azul when star defender Pablo Aguilar appeared to have severely hurt his leg and had to be subbed off with ten minutes to go in the match. With the result, both teams remain in Liguilla playoff positions with 23 points and three games left to play in the regular season.